Tomorrow the ninth Point Agricultural Show will be held at Aird School, showing off the best that the Eye Peninsular has to offer. 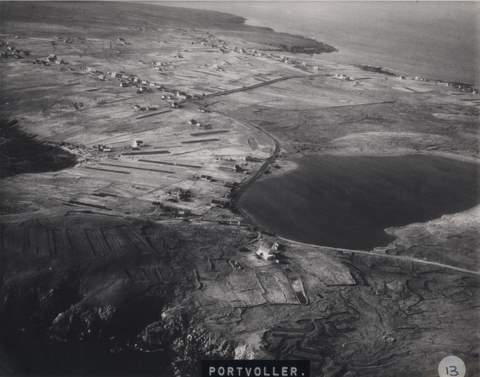 Above is a aerial photograph of Portvoller taken in the 1960s-1970s, showing Loch an Tiumpan. Look closer, and you will see neat stacks of hay and peat beside every house. The album of aerial photographs was a favourite of many who visited our stall at the Lews Castle consultation event last week, as people clamoured to spot their house in the photographs. Can you see yours? This entry was posted in Uncategorized and tagged Friday Photo, Point, Point Agricultural Show. Bookmark the permalink.